Sammy the Shredder from Adventure Zoo visited Mountain High on December 22, 2012. He met with his favorite snowboarding buddies at the Children’s Academy, rode the moving carpets with his shredder friends, gave hugs, shook hands and generated tons of smiles. There was a book signing on the deck, games, safety messages, and more! Sammy read from his book which follows the adventures of Sammy and crew as he learns to snowboard for his first time. 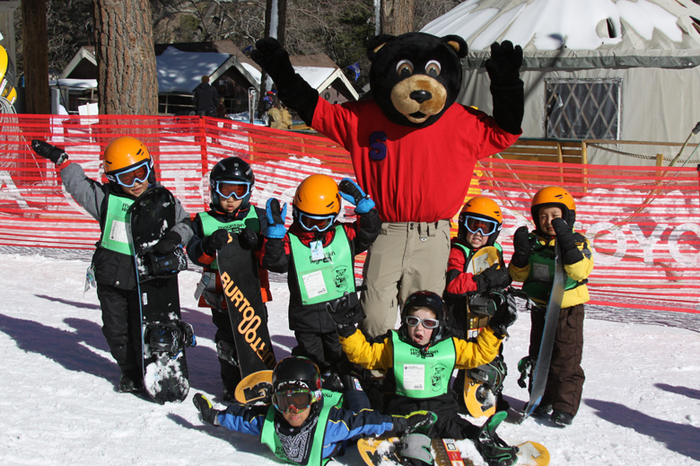 Kids learned valuable lessons such as getting back up and trying again, as well as basic on-hill etiquette. Kids were excited to meet Sammy, hear about his adventures, and take photos.